Unsure of what to use as a substitute for cayenne pepper? Cayenne pepper is traditionally believed to have originated in the Cayenne region of French Guiana. Cayene is nothing more than the ground pods and seeds of regular chili peppers. However some commercially available mixes may have several other spices added to it to slightly change the flavor such as cumin or garlic. Cayenne peppers are one of the most popular peppers to use in spicy dishes. It’s rich in flavor and easily found in its powdered form. You can even sometimes find the fresh peppers in local markets for use but this can be more difficult. Sometimes, though, you might need a substitute for cayenne pepper. Before getting excited that you can use hot paprika chili powder as a substitute for cayenne pepper, be sure to check the level of heat on your spice bottle. Not all paprika will deliver the same amount of heat that cayenne pepper does so if it's the heat you’re looking for, be sure that the heat level is at least forty thousand to sixty thousand Scoville heat units. Generic paprika will likely give a mild heat, one that is too mild to be compared to cayenne pepper. One that is labeled as hot, however, will likely deliver the same hot flavor. Red chili flakes can also replace cayenne pepper. 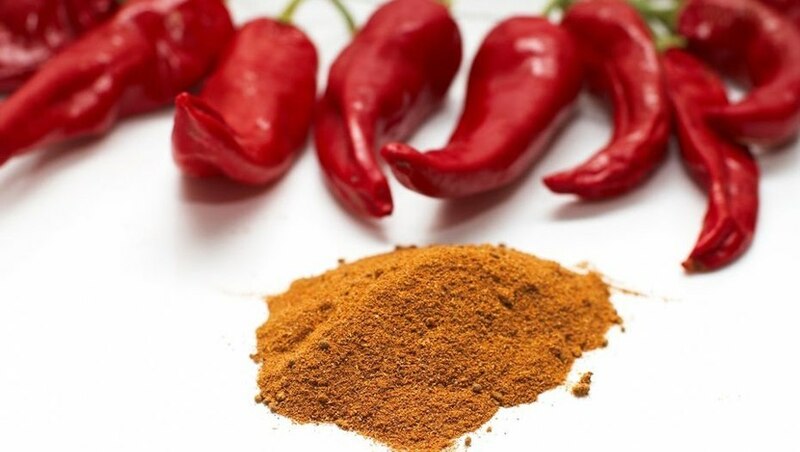 Cayenne pepper is actually part of the makeup of red chili flakes so using those in a recipe is likely to generate the same heat as pure cayenne pepper. If fresh cayenne peppers were on your list, they may be difficult to find. One fresh pepper that can help mimic the heat of cayenne peppers is tabasco peppers. Tabasco peppers have one major difference from cayenne peppers: they are juicy. The juice from these peppers can make them taste differently and have a different texture than cayenne peppers. If you are using these peppers to make a salsa, though, they serve as an excellent substitute because when mixed with the other vegetables, the difference in flavor can be masked and the heat will be roughly the same. 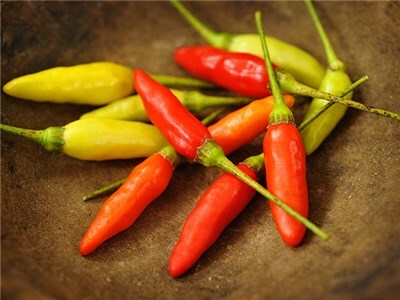 Thai peppers also serve as a great substitute for cayenne pepper. Thai peppers are generally easier to find than cayenne peppers. If you are unable to find them fresh, many supermarkets will have them in dried form in the international aisle. The dried peppers do tend to be hotter than cayenne peppers so be careful with how many you use. If cayenne peppers are too spicy for you to use or on the higher end of your heat tolerance, consider finding a different substitute than Thai peppers since they tend to be anywhere between fifty thousand and one hundred thousand Scoville heat units. Out of these two peppers, serrano peppers are closer to cayenne peppers in level of heat, though they still only offer about half the level of spiciness. Jalapeno peppers are roughly four times milder than cayenne peppers, though they still can bring a delicious heat and flavor to any dish. Out of these two milder peppers, serrano peppers are harder to find but becoming easier. Jalapeno peppers are generally easy to find fresh at any local grocery store. These are both widely available and great milder substitutes. « Paprika Substitute – What to Use ?